Besides hiking, biking, and running with my family, we also go canoeing. I love my family! 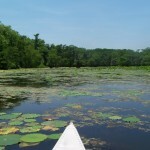 The Houston area is full of all sorts of bayous and lakes to explore. 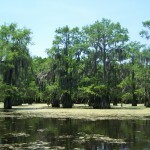 We heard great things about Champion Lake, a cypress swamp, bounded on all sides by dry land. Mom couldn’t wait to see the birds, and dad hoped we would see an alligator. Me, I’m always up for any kind of adventure involving a car ride! Champion Lake is part of the Trinity River National Wildlife Refuge, to the east of Houston. 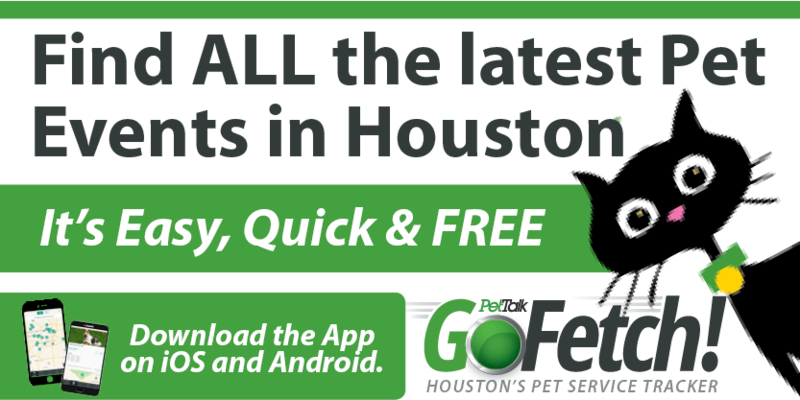 We took I-10 and exited on FM 565, or Old River/Winfree. After going north for three miles to FM 1049, we turned right. Again, we drove for another three miles to CR 417 and turned right. We continued for 1.8 or so miles, going slow through the residential area. Shortly after that, we veered left and arrived at Champion Lake! Didn’t take us too long at all, but then again, I slept the entire way. We had easy access to the lake with a boat launch area next to a dock. Folks were fishing, but not us, we were heading out into the waters. Yeah, baby. The lake is 800 acres, and I think we paddled (well, my humans did all the work; good humans!) the entire thing. We saw all sorts of birds, and the songs they were singing were really neat. The water is thick and murky. I couldn’t see a thing until an alligator popped his head up. Yipes! I admit, I sat real close to mom as he swam by. He was only about seven feet long, but big enough to eat me! Doggies and humans must stay in their canoes or boats at all times. For once, I was kinda glad to be on my leash, attached directly to my human. 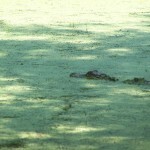 Apparently, much larger gators live in that swamp, so be careful. When we got deep into the cypress forest, we felt like we were in a magical place not of this earth. At some points, the lake didn’t even look like water, but more like grass. Quite confusing to me, actually, and how do those trees grow out of the water? Spanish moss was all over the place, and if you weren’t paying attention, you could get lost in that place. Canoe trails are marked, but my dad spent time online getting a lay of the land. Be sure you bring a map or have a compass with you. Deep in the forest, we sat for a while and enjoyed the sounds of nature. Well, my humans did, and I woofed down a snack! What’s an adventure without food? Hey, that reminds me . . .